Bret Voelkel seriously can do it all. Not only does he own and operate RideTech, the successful suspension company, he’s a published author, an avid car collector and car builder, plus a serious wheelman in virtually anything he builds or drives. The catalyst for the very popular “Goodguys Autocross” that launched in 2008, Voelkel has teamed up with Spectre Performance to create Team RideTech that features a group of competitors that can be regularly seen at Goodguys shows and autocross, OPTIMA’s Search for the Ultimate Street Car Events, Cars & Cones, and even the Hot Rod Power Tour. They have a bold presence throughout the automotive industry and with Bret at the helm it seems there’s nothing that this team can’t do. Voelkel says he didn’t grow up with a passion for hot rods. In fact, no one in his family even liked cars when he was a kid. Enter the teen years and that all changed. This marching band tuba player is a first generation hot rodder and says that he and a few friends developed a need for speed while in high school because it was “cool”. Today, RideTech employs over 50 people and Voelkel attributes his success to hard work and a lot of help along the way. 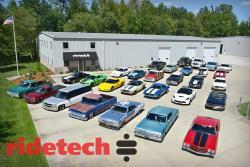 Now in their 21st year, RideTech continues to design and manufacture shocks and suspension systems for a variety of vehicles including hot rods, muscle cars, Corvettes, and OEM/defense projects. All RideTech products are designed, engineered, and manufactured in the USA. 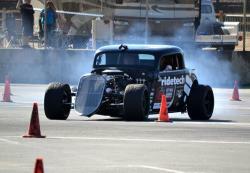 Forward thinking and a common sense business model employed by hot rod owners seems to be their recipe for success. Last year alone Bret Voelkel competed in more than 15 competitive events, including RideTech-sponsored events like Cars & Cones and the Hot Rod Power Tour, developed an innovative suspension package RideTech calls Instinct, and has partnered with the National Corvette Museum that includes the install of RideTech triple adjustable coilovers and Delrin bushing components on the NCM track cars, offering RideTech suspension components for sale at the track, and various track support activities. 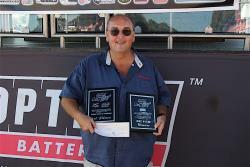 Instrumental in the creation of the Goodguys autocross back in 2008 you can see he is pretty proud of that success. It certainly helps to allow for he and his friends to get out and slay some tires and the occasional cone or two. In the beginning, he was the fastest guy there. But now, the people who finish ahead of him happen to be his customers. He provides fellow competitors with advice and the suspension components they need to create a successful autocross car. For Bret Voelkel, autocrossing is not just a passion, it’s his job and that’s really cool. 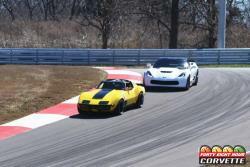 While Voelkel has his choice of competition cars, it seems he prefers the styling and feel of his 1969 Mustang and maybe even his new C7 Corvette that he seems to be killing it in. Best known for their Air Ride Technologies suspension components, RideTech has developed a product line far beyond their humble beginnings. Voelkel has brilliantly retuned and virtually reinvented everyday technology and created easy-to-use, but intricate, control systems in both analog and digital formats. RideTech’s product lines are for use in hot rods, ATVs, and even powerboats, with equipment like the air-over-leaf-spring suspension, anti-sway bars, shocks, and roll cages. These are just a few of the goodies they offer. With Voelkel’s experience and talent in designing and manufacturing performance suspension components, it seems only natural that he and the RideTech team would come up with Instinct line, which is an intuitive suspension system that anticipates road conditions and improves the ride instinctively offering greater customer satisfaction. RideTech’s plans don’t seem to be slowing down in any way, shape or form. 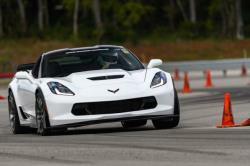 After the incredible success of the build of the 48 Hour Camaro back in May 2011, and the 48 Hour Corvette, in 2015, they are at it again in an even bigger way. 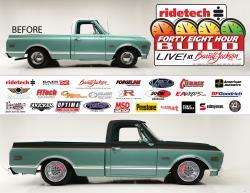 The crew from RideTech are heading to the Barrett-Jackson Auction at Westworld in Scottsdale, Arizona, where they will build out an existing 1968 GMC C10 truck over the duration of the auction and transform it into a complete, upgraded version to send over to the auction block for sale on the final day! 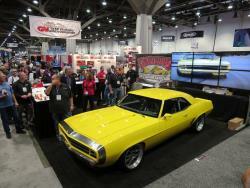 The RideTech 48 Hour build will be part of the new Barrett-Jackson Do-It-Yourself Pavilion, where select automotive companies will provide hands on demonstrations and exhibitions on a variety of projects being conducted in real time. They are starting the year off with a bang. For the 2017 race season we will see Bret Voelkel and his Team RideTech competitors once again at the Goodguys events across the nation. You can also catch up with Bret at the OPTIMA Search for the Ultimate Street Car qualifying events, Holley LS Fest, Midwest Muscle Car Challenge, 9th Annual Motor State Challenge along with select SCCA/CAM Events. 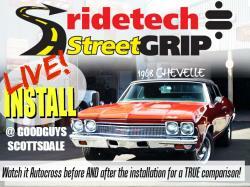 Spectre Performance is honored to be in partnership with Bret Voelkel and RideTech. Their dedication to the consumer, commitment to performance, and simply being leaders in the automotive industry at the forefront of technology speaks volumes. Congratulations to you Bret Voelkel on your 2016 race season. We look forward to watching your continued success as it unfolds in 2017.